Hon. 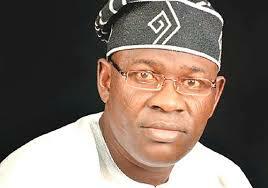 Michael Adeyemo (APC-Ibarapa East) on Wednesday emerged as the Speaker of the 8th Oyo State Assembly. Adeyemo emerged unopposed at the instance of his nomination by Hon. Kehinde Subair (APC- Ibadan South-West I). Hon. Ojo Olagunju (Labour Party-Oriire) seconded the nomination. Those returned unopposed as principal officers alongside Adeyemo were Hon Abdul-Wasiu Musa (APC-Saki West), Deputy Speaker and Subair who emerged as Majority Leader. Others were Hon. Oyeleke Adeyemi (APC-Afijio), Deputy Majority Leader; Hon. Olafioye Akinmoyede (APC- Lagelu), Chief Whip while Hon. Olusegun Ajanaku (APC- Ibadan South-West Constituency II) emerged as Chairman, Parliamentary Caucus. The election of the Minority Leader, however, generated heated debate on the floor the house as members of the Accord Party opposed the nomination of Olagunju. Hon. Muideen Olagunju (Accord Party–Oyo East/ West) had observed that the nomination was not in compliance with the house orders. The 8th Assembly has 18 APC members, eight Accord Party members and six Labour Party members. But the assembly’s suspension of its Order 7 Rule 9(1) which states that the highest ranking among the minority parties should produce the Minority Leader paved the way for an election. Ojo won with 21 votes to defeat Olagunju who had 9 votes. In his acceptance speech, Adeyemo thanked the members of the Assembly for their support, assuring them that he would be fair to all. “The elections are over and I believe our people should now let partisanship give way to patriotism. “ We must be prepared to sacrifice in the face of financial and economic crises as have been witnessed,’’ he said. Adeyemo, who promised to cooperate with the executive arm, however, vowed that the Assembly would not be a rubber stamp. NAN reports that the inauguration was attended by Gov. Abiola Ajimobi, Chief Moses Adeyemo, the Deputy- Governor, Justice Muntar Abimbola, the Chief Judge of the state, Chief Akin Oke, APC Chairman in the state as well as traditional rulers.